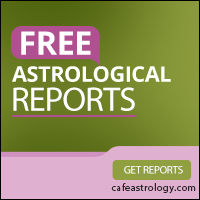 Saturn’s position in a particular house of your natal chart significantly alters the characteristics of that house. Saturn has a powerful and life altering influence. We define Saturn as reality. Reality may be limiting but at the same time provides structure to our lives. Keep in mind that individuals perceive reality differently. The reality we are referring to is societal and that is common to all. Saturn influences make you work, take care of your responsibilities, and fit into society. Saturn is the antidote to Uranus’ creative change and Neptune’s fantasies. Saturn influences may be used to put in the effort, organize, and implement creative change. One’s deepest dreams and fantasies can come true by embracing Saturn and putting in the required time and effort. Below you’ll find descriptions of each position of Saturn through the houses of the natal chart, along with some practical advice for each. Don’t know Saturn’s placement in your chart? See planetary positions of your natal chart here. The first house stands for the way in which an individual projects personal energies onto others. This house is fundamental in defining an individual’s personality and Saturn’s presence here is particularly significant. Saturn in the first house people might have a stern exterior. People may comment, “You look so different when you smile!” When you smile the stern exterior drops. Saturn’s presence in the first house can make you more aware than others of right or wrong in a societal way. Responsibility will be a major concern in your actions. Demands from people around you will dominate your consciousness. You will probably find it extraordinarily difficult to place yourself ahead of others. Guilt and anxiety might haunt you over issues that others, without this influence, might not consider significant. This misplaced guilt and anxiety may create false sentimentality and attachment to surroundings to the point of neurosis. You are hard on yourself. Self-assertion at work and home might be stressful. Develop awareness about your guilt and anxiety attacks. Fight the guilt by thinking things through by yourself or with someone you feel comfortable with. To avoid the guilt and anxiety your best bet is to lay low and first let people around you articulate and take what they want and need. Then take what you want. It’s rather important for Saturn first house people to have spouses and partners who understand their self-assertion issue. An understanding spouse or partner will go a long way towards making life pleasant. Traditional astrology interprets Saturn’s presence in the second house to mean a lack of or difficulty in getting real world possessions like money, cars, etc. Moving away from this fatalistic approach, we will try to personalize the meaning of Saturn in the second house for an individual. From a personality standpoint, the second house reflects your attitude to real world possessions. With Saturn in the second house, you might be unduly pessimistic about your own ability to get possessions. Avoid the pessimism. Then again, you might be overly cautious in the way you invest your finances. I’ll give you an example to illustrate this point. Saturn in the second house people are more likely to invest their hard earned money in low-risk treasury bonds than in the higher risk stock market. This may be good or bad, depending on how you look at it. Your investments will remain rock solid over the years, but will not grow as much if you had been more of a risk-taker! Given this risk aversion, isn’t it easy to spot why past astrologers might have taken that as an inability to gain wealth or possession? It’s not so much an inability as simply an attitude. Awareness of this attitude can be your strength. The core meaning of the third house lies in the unconscious operating of the mind in familiar surroundings. The third house indicates the natural way you act and communicate with people. People might include your siblings while growing up, co-workers, neighbors, the grocery store clerk, and so on. You can review the way your mind works in these circumstances. In that sense, it’s not unconscious. The comedy serial, Seinfeld, explored the quirkiness in individual actions and communication in familiar surroundings — the little things that people do and say unconsciously that make them what they are! Yes, the serial about “nothing” was funny. Saturn in the third house may make you feel ill at ease while you go about day-to-day life. You may come across as cold and reserved. You may be a “man or woman of few words”. This can turn some people off. You can use this to your advantage by listening to people. That way you don’t have to do too much talking, yet people will love you for listening! The fourth house indicates the way you relate to your family, both as a child and adult. It indicates your attitude to giving and receiving “mothering” or nurturing. Saturn in the fourth house can limit the nurturing that you yourself are capable of. Your style of nurturing may come across as slightly cold and impersonal. You might remember your childhood as one that lacked warmth and affection. Saturn’s influence adds a sense of responsibility to fourth house functions. One might feel the need to nurture more than most, perhaps to overcompensate for their own feelings of being neglected. The truth is mothering and nurturing can be fun! Saturn might take away that element of fun and make it a chore. Don’t let that happen to you. Recognize your style and make up your mind to enjoy yourself! In a broader sense, the fourth house extends to the community, home town, and country. With Saturn influences, you will choose to be quietly patriotic and loyal. The fifth house is the house of play and self-expression. Saturn’s influences in this house compare in importance to those in the first house. The fifth house is all about spontaneity. Saturn seriously impedes spontaneity. You might be recognized as the “party pooper” or a bad date. Don’t let that happen to you! Individuals with Saturn in the fifth house might find it difficult to “play” or do fun things. Saturnine guilt and responsibility might make you search for a “good” reason to have fun. All work and no play might stress you out to the point of neurosis. Recognize that you don’t always need a cause to relax and enjoy life. Better still use this influence to your advantage. Get into an activity like raising money for a charity. That way you have a cause and the fund-raising events can be turned into fun occasions. While dating, allow your date lead you a little. If your date happens to have a fifth house Saturn then you have nothing to worry about. The two of you may hit it off discussing the ramifications of the ozone layer depletion on your first date. If your date does not have Saturn in the fifth then he or she might have other ideas about ways to have a good time! Saturn is most comfortable in the sixth house. This house rules your attitude to work, service, and your body. The sixth house is the house of self-denial in the sense that you put off pleasing yourself. It symbolizes activities that you pursue not to please yourself, as in the fifth house, but for another purpose. Working to make a living is a good example. This activity doesn’t necessarily please you but you do it anyways from a sense of responsibility. In that sense the sixth house is Saturnine. When Saturn happens to be in the sixth house of your natal chart you may very well be a workaholic. You may forget that you are working only to make a living. You may fall into the trap of living to work! Avoid doing this. In any case, you will have a strong sense of responsibility in your attitude to work and you will take service to others rather seriously. You may be overly concerned about what you feed yourself and spend time worrying about the food habits of your loved ones. All the sixth house functions are over-emphasized — a double whammy! The seventh house rules partnerships and marriages. That is, the seventh house reveals the way you relate to your closest friend/partner or enemy. This house opposes the first. The first house signifies the way you project your energies towards others, while the seventh house signifies the energies you project onto others, and the energies you are looking for in a close relationship. You can think of it as that part of your own energies you want to be resonated or boomeranged from your partner. The seventh, Libra, and Venus are all related. Venus rules relationships involving warmth and love. The seventh house is not naturally connected to love. Successful marriages are a combination of seventh house (partnership) and fifth house self-expression (love). Saturn in the seventh house may mean a number of things. If we follow the energy resonance line of thinking then you are probably drawn to saturnine people. You may very well have fewer relationships. While in a relationship you may feel weighed down by a sense of responsibility which may turn you off relationships. Or, you may find it difficult to build bridges with someone else. That may, in turn, keep you away from relationships. Don’t let this happen to you. Be aware of your predilection. Know that you might be the kind of person who takes relationships more seriously than most. Be aware that your sense of responsibility makes you a very good partner. Your partner benefits from your attitude. Advertise yourself as someone who might not get into relationships easily but when you do, they last forever. Traditionally, the eighth house was recognized as the house of death. Saturn in the eighth in a natal chart would mean a horrible death. Modern day astrologers have moved away from that line of thinking. Today we think of the eighth house as a house of resurrections. The eighth house symbolizes transformations through growth and change. As an individual, you might need to re-invent yourself from time to time. The eighth house is opposite the second house, which symbolizes your attitude to possessions. In that sense the eighth house stands for your attitude to giving up relics of the past, so you can grow and change. Saturn in the eighth house can be a powerful influence. This influence will make you simply resist transformations, change, and growth. You will find it very difficult to accept changes in your life. Any change will be stressful for you, bringing in anxiety and worry. Be aware of this influence. Understand that change is something that you don’t react to well. Prepare for change. Take time to chart out a course or action plan whenever change is imminent. Read a book on managing change in your life or at work. Change, if managed well, can make your life richer and better. The ninth house signifies ideas, philosophies, and rationalizations of the conscious mind. It opposes the third house which governs the unconscious mind. The ninth house, therefore, governs the functioning of the higher mind — those thought processes that define us as humans. Mind expansion is a basic ninth house function. The ninth house signifies an individual’s personal philosophy of life, perception of the reality of life, and reaction to new ideas. Saturn in the ninth house indicates a practically minded individual. You are unlikely to take to flights of fantasy or fancy ideas. You might even be closed to new ideas. Your thinking might be overly closed and conservative. Don’t close your mind! Be aware that while practicality is a great quality, the world needs people to come up with new ideas in order to move forward or even keep going. Don’t dismiss ideas too quickly and don’t be threatened by them. Instead, adopt a constructive attitude. Tell yourself and others that you can be practical in your thinking. And, that is an asset. At the same time, encourage people around you to think and act out their ideas and philosophies. You can be close-minded and mean, or the sane anchor of practicality for the creativity around you. The choice is yours! While the sixth house rules work, the tenth house rules the work that you identify with. In the context of home and family, the tenth house signifies your attitude while playing the “fathering” role. Saturn in the tenth house makes you take your “fathering” responsibilities seriously. You will be concerned with the development and growth of your child in real world terms. At work, you may have the desire to lead or guide co-workers. In any case, you will take your career or chosen profession more seriously than most. Both at work and home, your teaching or leadership style will be based on practical aspects of life. You are acutely aware (more so than most) of your place and “role” in society. You may feel like you are under a magnifying glass, so to speak, when it comes to the path you choose to take in your career or in the roles you take on. Defensiveness and self-consciousness about your importance in the material world can result. A rather conservative approach to life is often adopted, which may or may not conflict with your more personal aspirations. You will shoulder immense responsibilities with ease. This might not always work for you. Take care not to take on too much at a time. If you feel overloaded with responsibilities – delegate some! One-to-one relationships are a seventh house function. The eleventh house is best understood as one that governs an individual’s one-to-many relationships. This implies your relationship with friends, extended family, and the organization you work for, and so on. Saturn in the eleventh house, therefore, works much in the same way as in the seventh (read Saturn in the seventh), except that the nature of the relationships are different. You may find socializing tiresome and prefer to stay alone. Many people with this position feel some disdain for the superficial workings of casual friendships and of the group — that is, they feel uncomfortable and self-conscious about “going through the motions”, doing and saying the right things, and so forth. At the root of this perception, there may be a fear of failure in a group setting. It may be easier to fall back on, and take too much pride in, your uniqueness as an individual rather than submit to the idea that you belong and identify with a group. It can be a fear of being “ordinary” or just part of the crowd that prevents you from loosening up in social situations. The fact that you take friendships more seriously than most can give you a heavy sense of responsibility and reluctance to form ties as if you somehow sense that forming them will burden or obligate you too much. Staying alone might seem to be a better use of your time. Watch out for this. A deep-seated feeling of loneliness and separateness may be the result. Take time to personalize your social interactions. Since you find group activity uncomfortable, develop a few good friends to hang out with. You have a greater capacity than most to be a loyal and long-standing friend! Beyond friendships and groups, the eleventh house is associated with our long-term goals, hopes, and dreams. Saturn here can make you just as reluctant to commit to any one life path, and to articulate or define your innermost wishes, as you are to attach yourself to a group identity. It is as if doing so would be too binding and revealing. When you learn to identify and overcome your fear of failure, you will discover that this fear has been the only thing holding you back from defining and working towards your dreams. Each planet in the twelfth house represents energies that an individual may be denying even exists. Saturn in this house could mean an early life setback which prompts you to push the realities of life into the unconscious. People with this position of Saturn often are plagued with guilt and it is difficult for them to know where the guilt is coming from, or even to define their anxieties. Fear of the unknown and of being overwhelmed or controlled by emotions may be the source of your general anxiety in life. It can be difficult for you to submit to the idea that you may need help from others, preferring instead to withdraw and handle your problems in solitude. The idea of exposing your innermost feelings makes you feel painfully vulnerable and dependent on others. A deep-seated feeling of loneliness and separateness can be the result. While self-control seems to be the most attractive route for you, you might find that letting others inside you, even in little ways, will help you overcome many of the vague feelings of guilt, self-doubt, and anxiety that prevent you from enjoying life in a free and natural manner. Learning to embrace your sorrow, free from guilt, is the first step towards true self-acceptance. You may be an escapist from life itself. Address your escapism. Question yourself, or talk things through with an alter ego. Make sure that you understand the demands of the real world, as well as its joys and pleasures. This will help you lead a more fulfilling and rich life.